We’ve Won A What’s On Award! 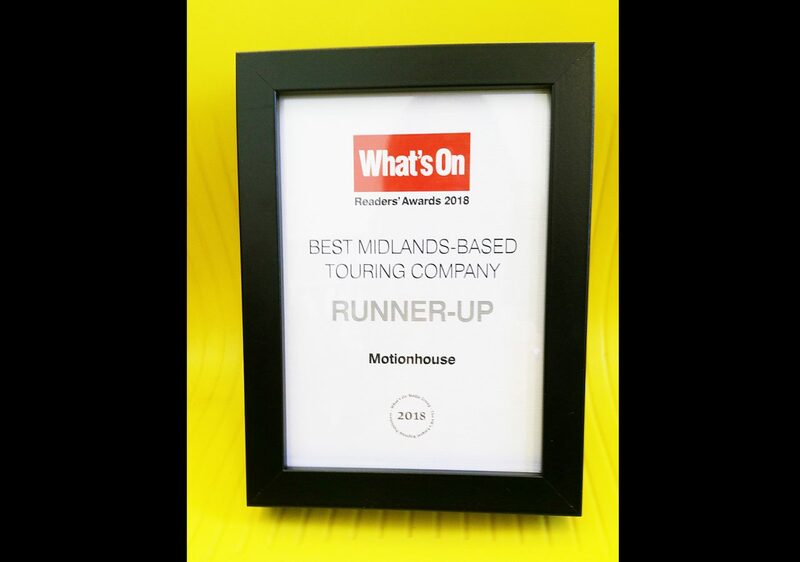 We’re thrilled to be awarded Runner Up for Best Midlands-Based Touring Company in the What’s On Readers’ Awards 2018! These awards shine a light on Birmingham and the West Midlands’ ever-vibrant arts and entertainment scene, so it’s absolutely fantastic to be recognised for our work. A huge thanks to everyone who voted for us – we’re (of course) dancing for joy!